I’m pretty serious about my coffee. There are certain foods I absolutely can’t eat without it. Donuts, oatmeal, bagels and cream cheese – they just taste better with coffee. In the afternoon, I like to treat myself to an iced coffee with a tiny bit of raw sugar mixed in. However it’s in the AM when I usually get my fix. When I have a mile long to-do list, I need my morning cup to help get me motivated. I usually start my day at 8 AM and look at the flurry of emails that have come in overnight. I delete any junk mail, unsubscribe from mailing lists, put out any fires, respond to anything urgent and leave only emails that require a response or action. I’m one of those crazy people that like to keep their inbox at zero. If anything can be replied to in under a minute, I do so right away and get it out of my inbox. Doing all this first thing, leaves me nice and relaxed to start my morning routine. I try to jump in the shower right away (before I get distracted) and start my skincare routine. Once I’m dressed and ready for my day, I head downstairs and put on the kettle and grind my coffee beans in my coffee burr. 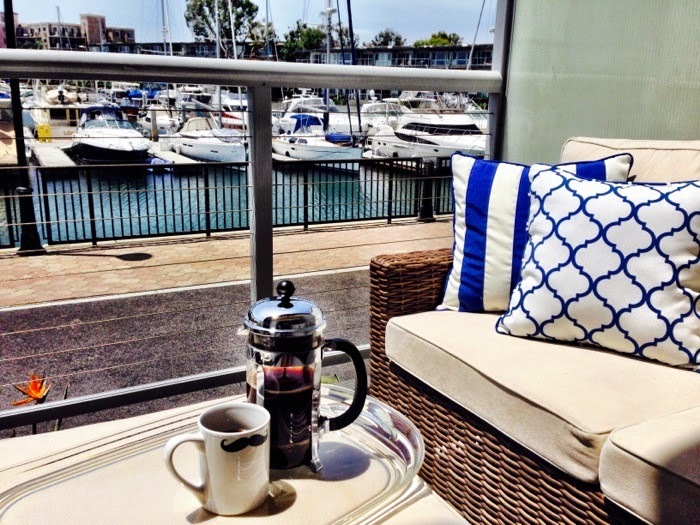 I measure up my grounds into a French press and wait for my water to boil. In my experience, it’s best to follow package directions as closely as possible and then add a little sprinkle on top. Most people don’t use enough coffee when they’re making it at home and they end up with weak coffee. Once I add the water to my French press, I wait five minutes before I steep and enjoy my coffee black – before slinking into my desk and getting through the rest of my emails. I have always loved the coffee at McDonald’s. This premium coffee is perfectly smooth with a medium dark roast made with 100% Arabica beans. I discovered it when I was grabbing breakfast at McDonald’s one day (my go-to is the Egg McMuffin with Canadian Bacon or the Fruit & Maple Oatmeal) and I was surprised at how good it was. It tastes even more amazing iced! McCafé coffee is now available for brewing at home. You can find McCafé Take Home Coffee in ground, TASSIMO T DISC and single-serve pods compatible with the Keurig K-Cup brewing system. 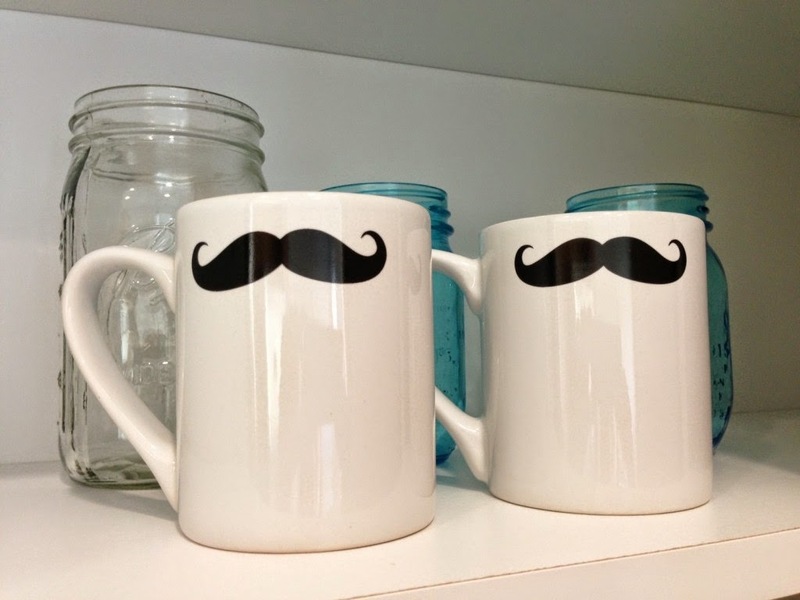 It’s a great way to enjoy premium coffee at home. 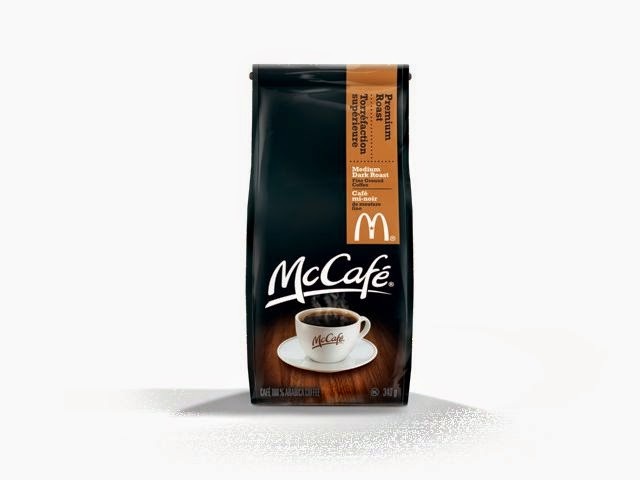 Look for McCafé Coffee in major grocery stores.